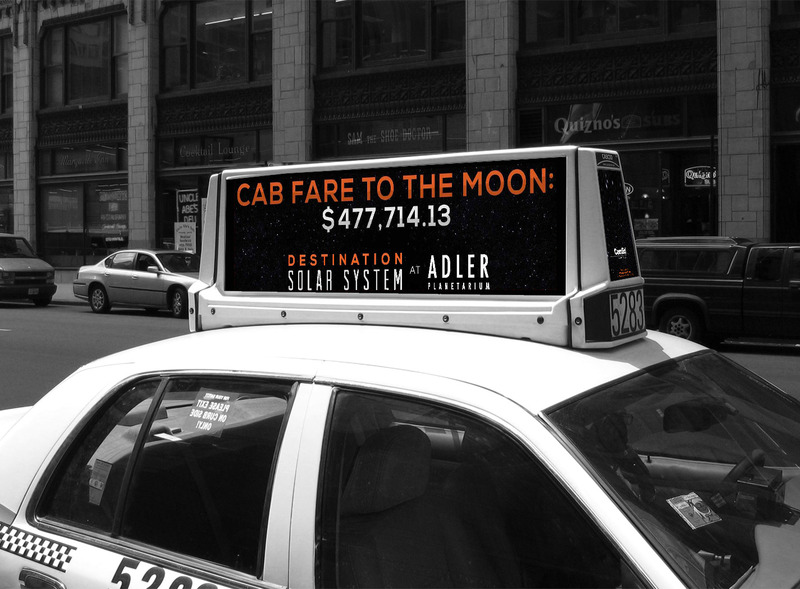 The Adler Planetarium is one of several notable museums in Chicago. 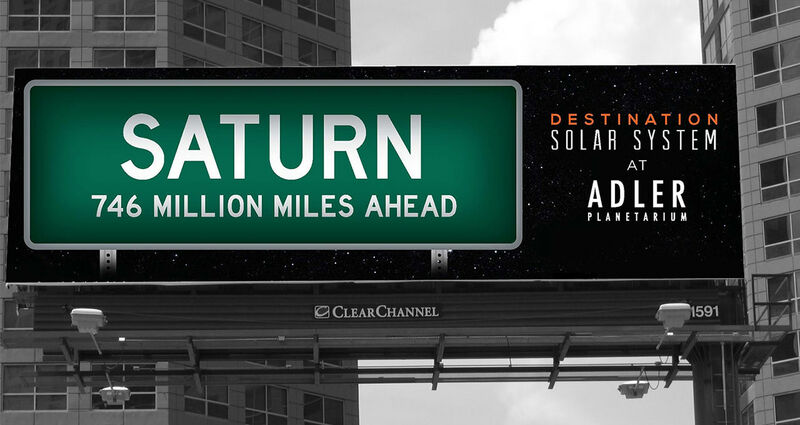 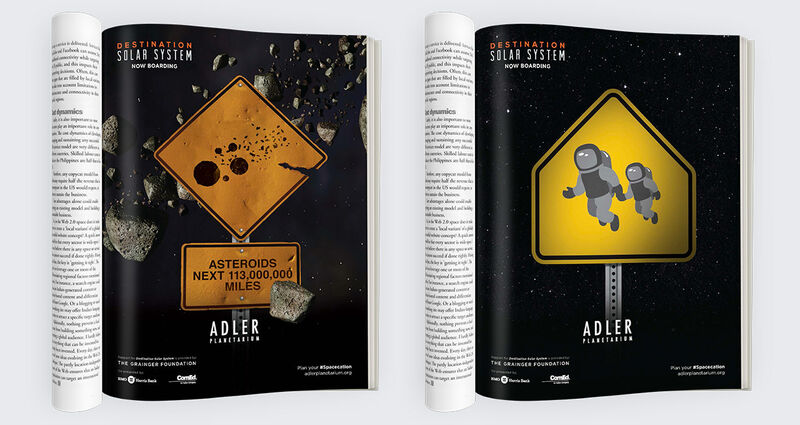 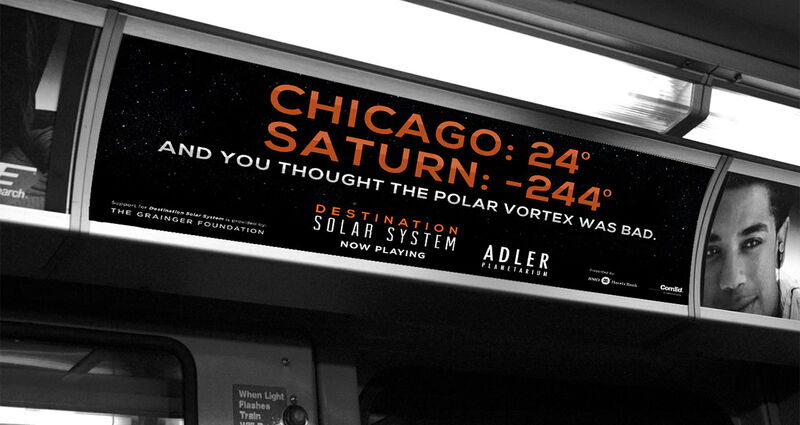 Leveraging our deep understanding of Chicago’s tourism market, Two by Four developed a campaign to promote their newest attraction, Destination Solar System—an exhibit that gives its audience a virtual tour through space. 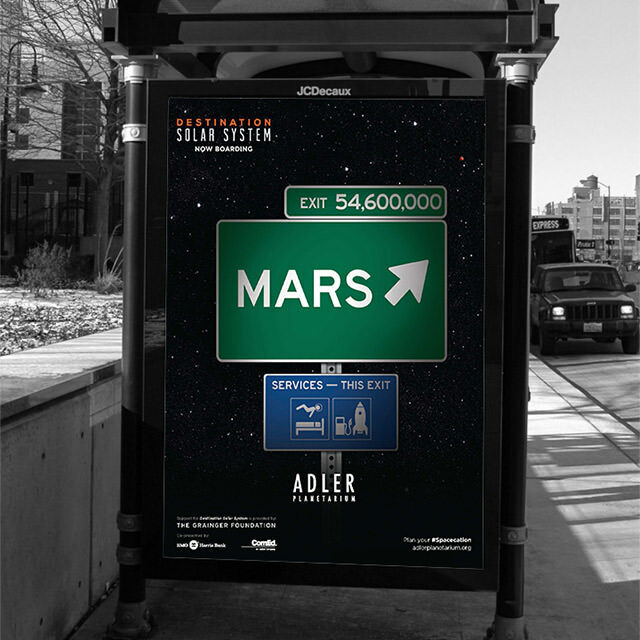 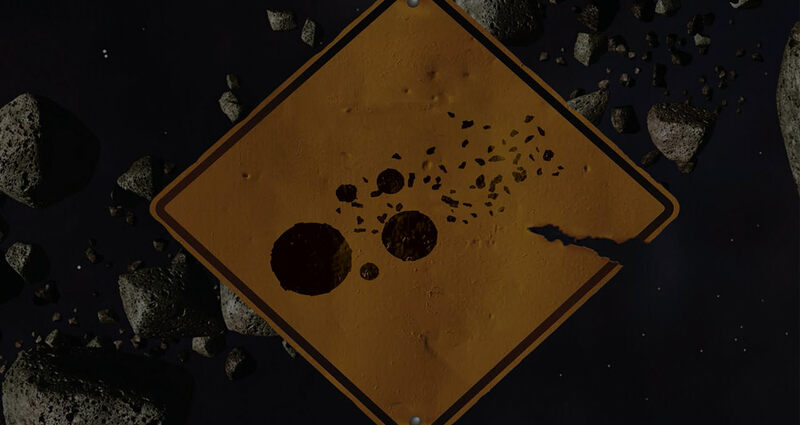 All of our executions promoting the event creatively use everyday street signs with a “space” twist.